Being a fan of Jeremy Strode, I’ve wanted to go to Bistrode CBD for a while now. 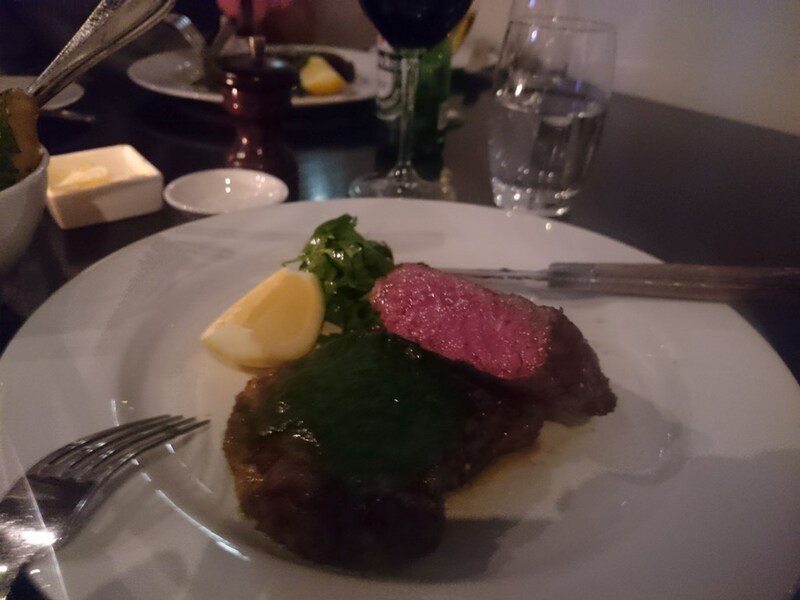 The menu had 3 steaks; I chose the pasture fed, dry aged, 300g sirloin with nettle butter, rare, and got a side of buttered potatoes to share with a friend, who also ordered the sirloin, medium rare. The place was fairly empty for a Wednesday, and our wait was not long. 15 minutes later the steaks arrived, beautifully charred and smelling fantastic. As I waited for the butter to melt a little, I snuck in a potato. They were quite flavourful and definitely buttery, but a tad uncooked and didn’t have that nice fluffy potato texture. I cut into the steak and it was cooked to an impeccable rare. Definitely a great cut, it carried a heavy beef flavour and was fatty and sweet, it made you salivate more as you ate it. It was charred nicely with the added aroma and taste of smokiness this steak had lovely flavour overall. 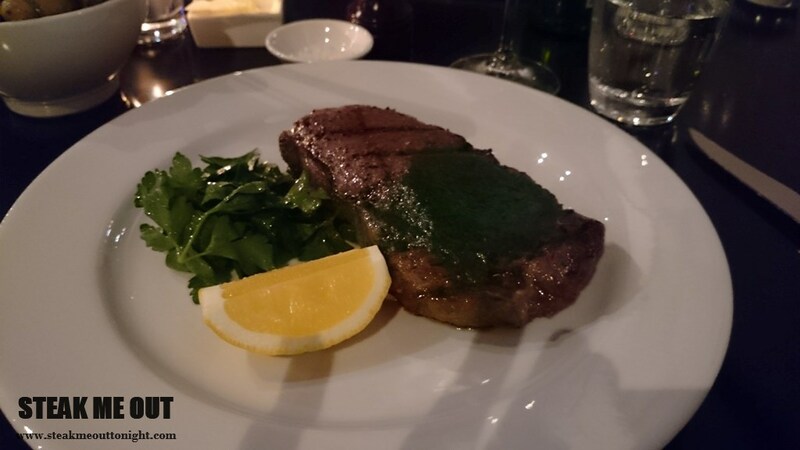 Overall I enjoyed the experience at Bistrode CBD, the steak and service was great. 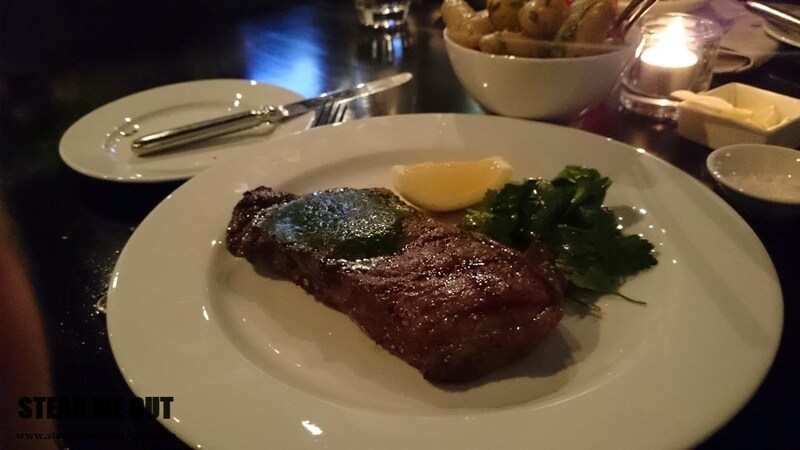 Posted on June 10, 2015 June 10, 2015 by AdrielPosted in Steak, SydneyTagged Sirloin, Steaks, Sydney.